Building a vacation home may seem like a luxury that only the very wealthy can afford, but for many families, it is actually within reach. This is especially true if you build with Adair Homes and take advantage of our unique process to generate immediate equity and keep costs down. Whether you’re envisioning a secluded mountain retreat, a golf course getaway, or a coastal cottage, we have a floor plan that you can customize to get the vacation home of your dreams. Every Adair home starts with a layout that you can customize to meet your needs. Don’t need that extra bedroom? Make it a den or yoga studio. Planning to catch up on your reading while on vacation? Create the perfect space for it in the upstairs loft. Planning to spend a lot of days at the beach? Make sure you have a mudroom to catch all that sand. No matter how you like to spend your time off, Adair Homes can help you design the perfect house for it. These are just a few of our most popular vacation home floor plans to consider. With a quintessential vacation cottage vibe, the Rhododendron is sure to make you smile before you even walk in the door. 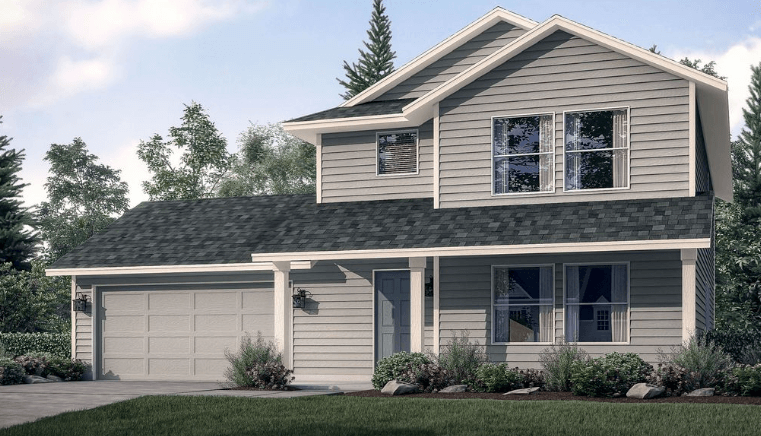 The classic gable roof and tidy symmetric lines ensure maximum curb appeal in any neighborhood. Pause to take in the view and appreciate the great outdoors from the covered porch before you enter the great room. Designed for single-level living, this floor plan also includes a half bath on the first floor for maximum privacy in the main-level master suite. The cozy suite upstairs is perfect for the kids or visiting guests, and a second full bath makes it easy for everybody to live comfortably, even while on vacation. Many people choose smaller lots for vacation homes because it means less maintenance and a smaller yard. 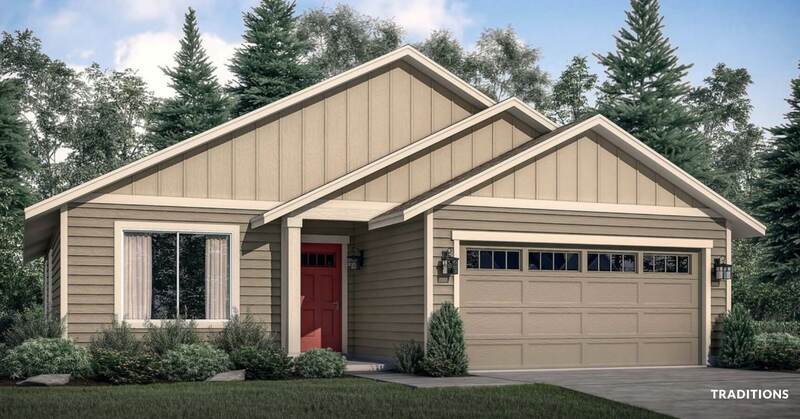 However, this doesn’t mean you have to compromise on the square footage (or the garage) with a narrow-lot floor plan like the Arcadia West. With four bedrooms and two bathrooms in 1,485 square feet, there’s plenty of space for the whole family, or even two families if you choose to vacation together. The spacious garage allows you to keep two cars, a vehicle and a boat trailer, or use the extra space for kayaks and other vacation toys. 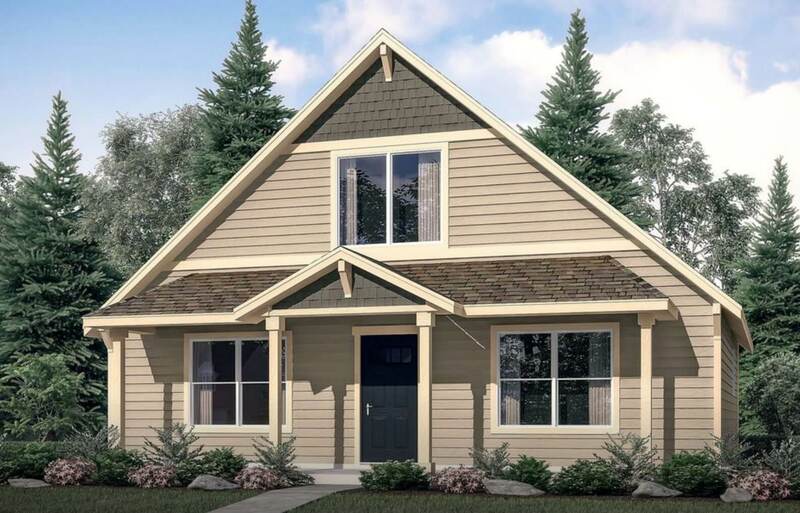 If you plan to stay for an extended period of time in your vacation home but don’t want the hassle of cleaning a lot of square footage—you’re on vacation, after all—the Douglas allows you to have three bedrooms and two bathrooms in 1,192 square feet. If you’re planning a winter vacation home, be sure to upgrade to the optional fireplace in the great room for ultimate coziness. 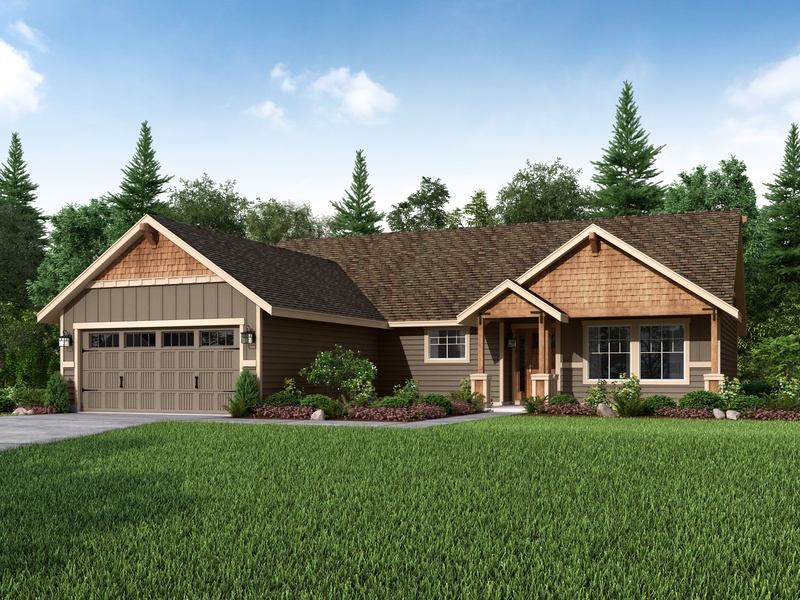 This floor plan also includes a garage that opens to the main entry so you can keep your vehicles out of the sun or snow and enter the house without going outside. If what you need in a vacation home is lots of space to spread out, the Jefferson provides 2,222 square feet over two levels. This floor plan can be configured with all of the bedrooms upstairs, or for single-level living with a bedroom suite on the first floor. Be sure to add the covered patio off the dining room so you can get the most from your leisure time with outdoor meals and lounging on the deck. If you like to use your time off to make gourmet meals in the kitchen, you’ll love the large pantry and island with dual sinks. Not all weekend getaways have to look like a classic vacation home, but if that’s the look you’re going for, the Winchester has it, especially if you opt for the Craftsman exterior package. Rustic (but durable) cedar shakes, simple arrow-style hardware, deep projecting eaves, and a complementary mix of natural materials make the home feel like a retreat away from your busy life. 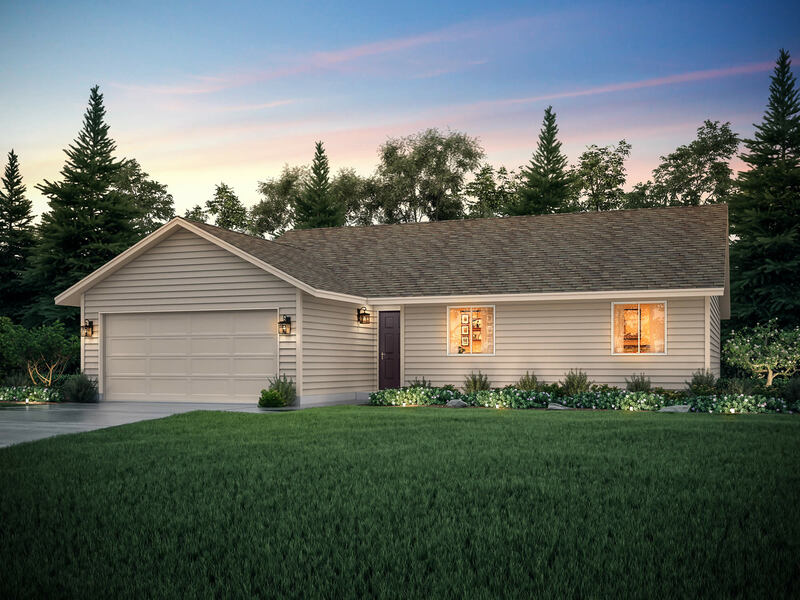 The Winchester isn’t the only floor plan that has the Craftsman exterior package, so if you love this look, ask your Home Ownership Counselor about all of the possible floor plan options. Building a vacation home is like building any other type of home—you want to do it with a builder you trust. In fact, ensuring durability and minimal maintenance can be even more important since the home may not be occupied all year long. At Adair Homes, we construct every house to strict standards, so whether you’re building a starter house, a forever home, an investment property, or a vacation home, you know you’re going to get quality results. We’re also strongly committed to our promises about affordability. Our Home Ownership Counselors will work closely with you to build to your budget, so you can decide which upgrades you want to prioritize to get your dream vacation home. Ready to learn more? Contact us today to get started.